From the authority on soulful French cooking and author of Pork and Sons comes a definitive guide to roasting fish and meat, featuring 100 essential recipes. Think roasting takes all day? 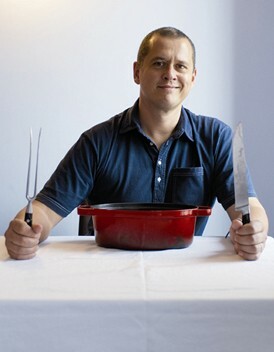 Not so, says bestselling chef Stéphane Reynaud. Whether it’s “Grandma’s roast beef ” or “veal with an Indian accent,” nothing says hearty French food like a roast. 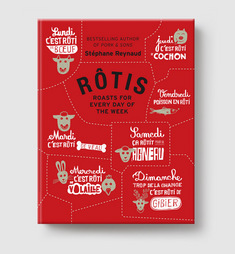 Now, with Rôtis, celebrated French chef Stéphane Reynaud shows that roasts aren’t just for Sundays. 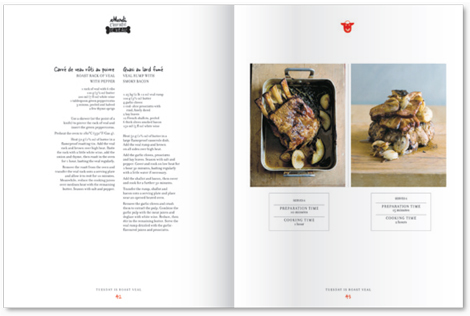 With recipes requiring as little as five minutes of preparation and with cooking times as little as 20 minutes, Reynaud suggests roasts for every day of the week: beef on Monday, veal on Tuesday, poultry on Wednesday, pork on Thursday, fish on Friday, lamb on Saturday, and all the rest on Sunday. And to accompany the feast, try the assortment of side dishes for every season, including a sumptuous slow-cooked ratatouille for the summer and traditional gratin dauphinois in the winter. 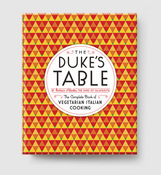 Written in straightforward steps, with helpful suggestions for everything from tying a roast, keeping it moist, to serving your guests, and making use of leftovers (a Sunday night “TV sandwich”? 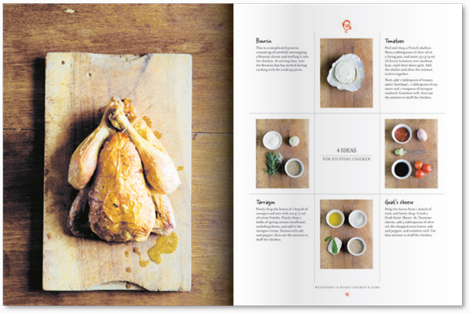 ), each recipe is accompanied by mouthwatering photographs and presented in a charming format that brings the delightful style of French markets into your home. STÉPHANE REYNAUD comes from the Ardèche plateau in France, where his grandfather was the village butcher. Brought up on the traditions of French cooking, Reynaud is now owner of Villa 9 Trois in Montreuil, near Paris—a highly regarded restaurant that specializes in pork. Reynaud has appeared on national TV and radio, including The Martha Stewart Show and NPR’s The Splendid Table. 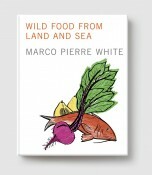 He is the author of the acclaimed, Pork & Sons (2007), Terrine (2008), and French Feasts (2009).